A visit here affords the unique opportunity to travel back through our country’s history, while also offering award-winning theme parks, world-class museums and art galleries, fabulous shopping and dining, outstanding golf and some of the most scenic nature trails and waterways in the country. These and countless other exciting and fun activities make the Williamsburg area the perfect vacation for everyone in the family. Whether your plans call for a weekend getaway, or a week-long escape from your everyday life, you will find a welcoming community of genuine charm and hospitality awaiting you in the Williamsburg area. Williamsburg is an independent city in the U.S. state of Virginia. Located on the Virginia Peninsula, Williamsburg is in the northern part of the Hampton Roads metropolitan area. It is bordered by James City County and York County. The city served as the capital of the Colony of Virginia from 1699 to 1780 and was the center of political events in Virginia leading to the American Revolution. The College of William & Mary, established in 1693, is the second-oldest institution of higher education in the United States and the only one of the nine colonial colleges located in the South; its alumni include three U.S. presidents as well as many other important figures in the nation’s early history. The city’s tourism-based economy is driven by Colonial Williamsburg, the restored Historic Area of the city. Along with nearby Jamestown and Yorktown, Williamsburg forms part of the Historic Triangle, which attracts more than four million tourists each year. Modern Williamsburg is also a college town, inhabited in large part by William & Mary students and staff. According to the United States Census Bureau, the city has a total area of 9.1 square miles (23.6 km2), of which 8.9 square miles (23.1 km2) is land and 0.2 square miles (0.5 km2) (1.8%) is water. Williamsburg is spread upon a ridge on the Virginia Peninsula between the James and York Rivers. Queen’s Creek and College Creek partly encircle the city. The city is located on the I-64 corridor, 45 miles (72 km) southeast of Richmond and approximately 37 miles (60 km) northwest of Norfolk. It is in the northwest corner of Hampton Roads, which is the 34th largest metropolitan area in the United States with a total population of 1,576,370. Within Hampton Roads, the city of Norfolk is recognized as the central business district, while the Virginia Beach seaside resort district and Williamsburg are primarily centers of tourism. Williamsburg is located in the humid subtropical climate zone, with cool to mild winters, and hot, humid summers. Due to the inland location, winters are slightly cooler and spring days slightly warmer than in Norfolk, though lows average 3.2 °F (1.8 °C) cooler here due to the substantial urban build-up to the southeast. Snowfall averages 5.1 inches (13 cm) per season, and the summer months tend to be slightly wetter. With a period of record dating only back to 1951, extreme temperatures range from −7 °F (−22 °C) on January 21, 1985 to 104 °F (40 °C) on August 22, 1983 and June 26, 1952. The tourist volume of Colonial Williamsburg has attracted many other related businesses to the area. Notable among these was Anheuser-Busch, which established large operations in James City County and York County just outside the city. The company operates a large brewery there. The company also used to operate two theme parks near the brewery, Busch Gardens Williamsburg, and Water Country USA; however, both properties were sold to private investors following Anheuser-Busch’s takeover by foreign brewer InBev. Anheuser-Busch also previously operated a commerce park, McLaw’s Circle, and Kingsmill on the James a gated residential neighborhood that contains a resort of the same name. Williamsburg contains one outlet mall, Williamsburg Premium Outlets. A second outlet mall, Williamsburg Outlet Mall. Williamsburg Pottery Factory also contains outlet stores. The community’s public bus system, Williamsburg Area Transport (WAT), has its central hub at the transportation center. A network of handicapped accessible transit bus routes serve the city, James City County, and most portions of York County adjacent to the Williamsburg area, with hourly service six days a week during daytime and evening hours. The routes operated by WAT include a loop around the William & Mary campus while classes are in session. The system also provides paratransit services and operates replica trolley buses at the Yorktown Riverfront attraction. WAT connects with the much larger Hampton Roads Transit (HRT) bus system at Lee Hall in northwestern Newport News and at the Williamsburg Transportation Center. Walking is a major mode of transportation in Williamsburg, the city is “very walkable”. With few exceptions, motorized traffic is not allowed on Duke of Gloucester Street, which passes through Colonial Williamsburg and the shopping district of Merchant’s Square. The city is also increasingly bicycle-friendly, having built 48 miles of bicycle facilities in the area since 1992. Upon completion, the Virginia Capital Trail will provide a paved off-road path to Richmond for bicyclists and pedestrians via the Colonial Parkway. 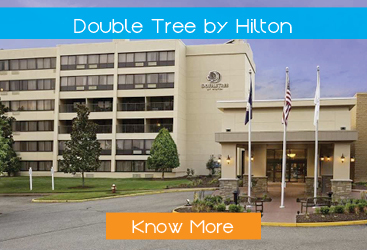 Whether you’re considering a four-star resort, a family friendly hotel, Williamsburg has every accommodation option to make your visit outstanding. Plan your adventure to Williamsburg where you can explore a treetop adventure. There are world-class roller coasters, Broadway-styled live shows and a sunset voyage on a pirate ship. Walk along the beach, and bike the miles of scenic trails along the Colonial Parkway. Raise your glass in an actual vineyard, and toast the modern day conveniences of 18th-century museums. Only in Williamsburg you can walk in the footsteps of our nation’s founding fathers, Colonial Williamsburg’s Historic Area. 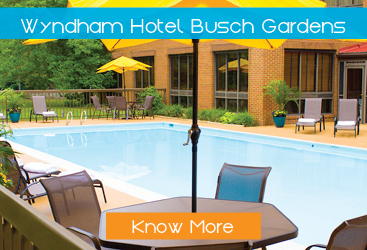 And just a few miles away experience the thrill of Busch Gardens Williamsburg and Water Country USA. If golf is your game, Virginia Golf Package has 15 championship golf courses including The Golden Horseshoe, and Kingsmill Resort. Add wineries, shopping and world famous restaurants and it’s the perfect vacation! The city of Williamsburg, Virginia has a full range of transport facilities. Williamsburg is served by the Newport News Williamsburg International Airport, and by two larger but more distant airports. The city is linked to several Interstate and State highways. A transport hub, the Williamsburg Transportation Center, serves bus and rail passengers. Motor traffic is restricted in the historic area, and the city as a whole is more “walkable” than the US norm. Cycling routes are also being provided. Begin your stay with our delicious warm chocolate chip cookie, straight from the oven, and enjoy versatile Williamsburg, VA lodging.